It’s never easy to leave home for the first time, so you need to know that when you arrive at university you won’t need to worry about where you will be living. 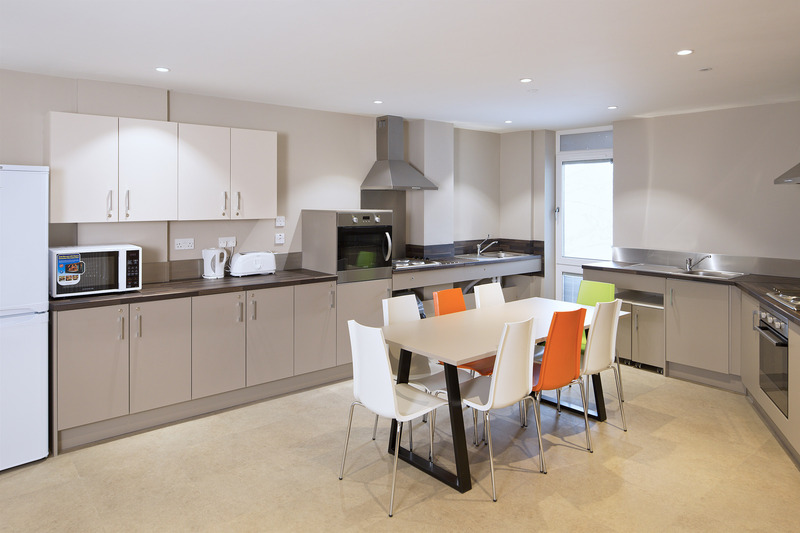 The Halls of Residence at the Waterside Campus have been specifically designed with you and your fellow students in mind. Our new on-campus student village is just a few yards from the academic buildings where you will be learning. You might choose to live in one of the five-storey flats, or perhaps you prefer to stay in one of the four-storey townhouses with landscaped courtyards. Whatever you choose they are fully furnished, and your utilities are included in your rent so no surprise costs (although you will have to pay for a TV licence if you bring a television). Your room will have network and WiFi access, providing links to the university computer network so you can study wherever and however you choose. Find out more about the on-campus options we have available and take a tour of our Waterside Campus flats and townhouses by coming to an open day or visiting the accommodation section of our website.